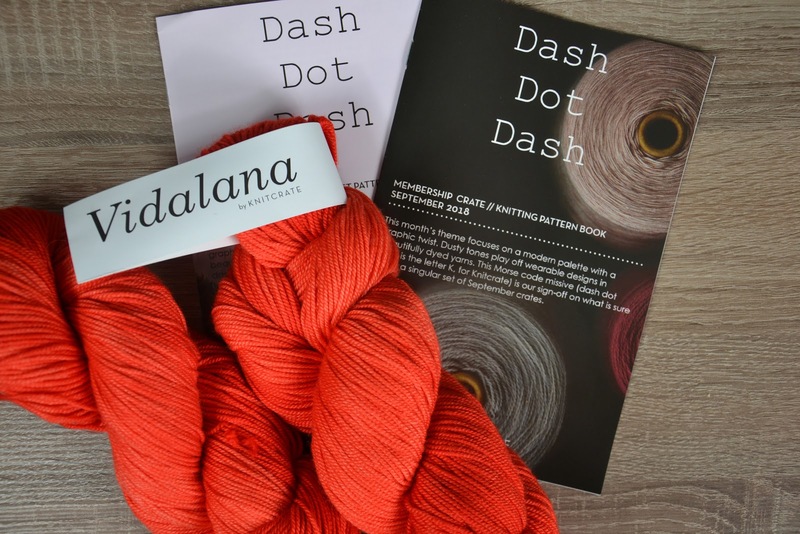 The theme is Dash Dot Dash (morse code for K–K for Knitcrate)! Inspired by graphic prints, the transition from light and airy Summer & Spring fabrics to Fall ones, interesting material juxtapositions and pops of bright against dark, this month’s crate is a riot of rich, interesting colors. This month KnitCrate prepared a game for you WHEEL OF YARN FORTUNE. So use my special link https://mbsy.co/m7tlB and go to the website. 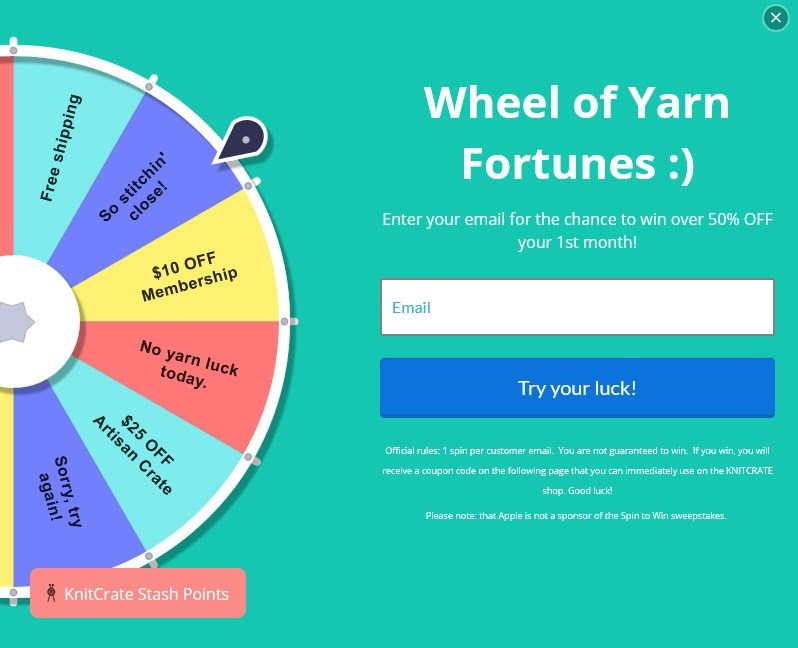 The pop-up window will appear - enter your email to spin a wheel and play the game. You have a chance to win a prize e.g. $25 off 1st month of the Artisan Crate, 10$ off Membership or free shipping. 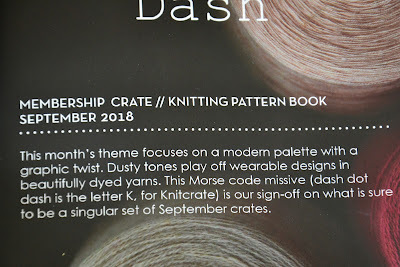 I hope you will have lots of fun and win the biggest prize :-) But if you haven't got luck, use my discount coupon code AMILC20 to get 20% off applied to the first month of KnitCrate subscription. If you have lost the window - there is an wheel icon in the bottom right corner on the screen. 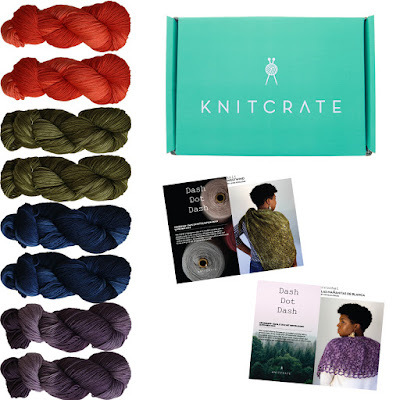 Check out the website information, monthly crates, tips & tricks to get familiar with KnitCrate. 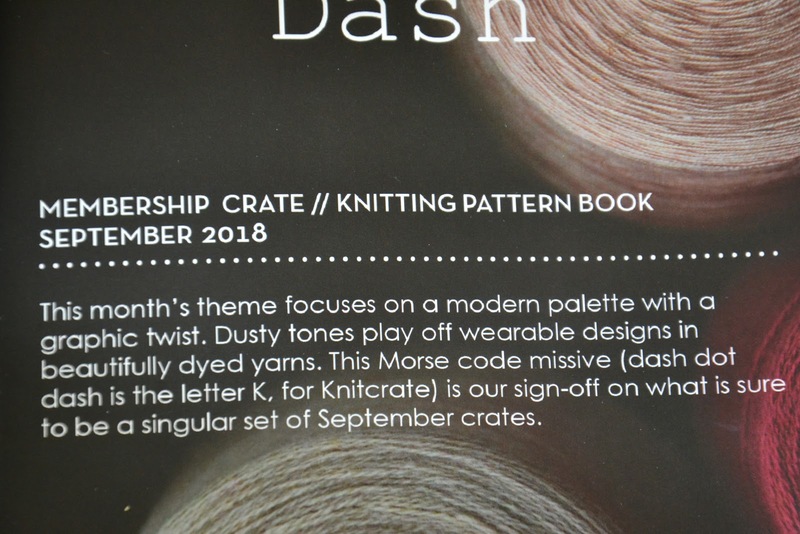 Just to remind you: KnitCreate Membership subscribers will get two skeins and it costs only $24.99 for the monthly crate. 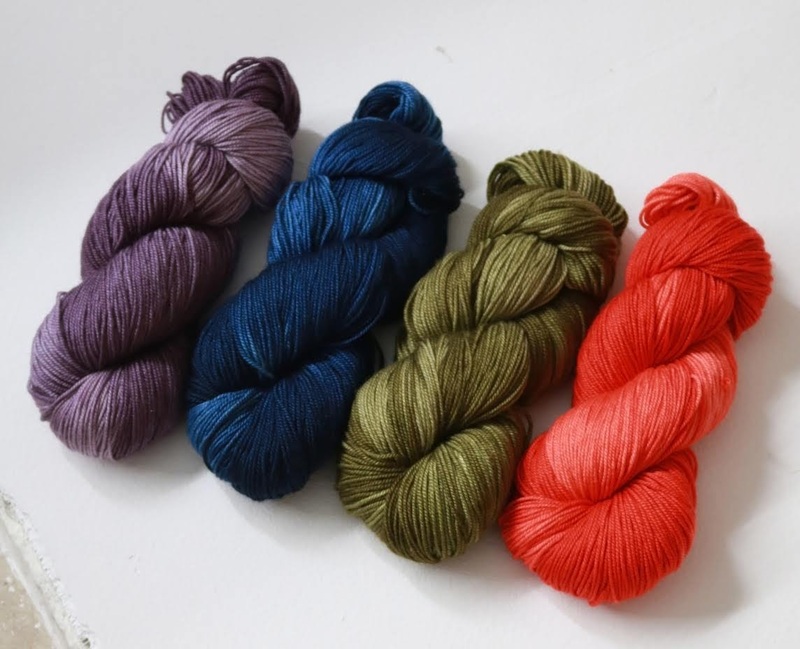 Total retail value of the crate is $63, so it is cheaper than buying yarns individually. Shipping is free worldwide, you can unsubscribe anytime you want. For more read the information on KnitCrate website. What is more, I've found two booklets in the box - one is for knitting and one is for crochet pattern. Booklets include printed patterns - that's great! You don't have to download the pattern, but you can, if you want to, following the download links. Knitting pattern: Westwind by Anne Podlesak (sound like Slavic surname, don't you think? :-)) - it is shawl "features lace panels stacked together on a traditional, but ample, triangle shape". Crochet pattern: Las Mananitas de Blanca by Cecilia Losado - it is cape "designed for those first crisp mornings of Fall", as a memory of the designer grandma. My discount coupon code: AMILC20 to get 20% off applied to the first month of KnitCrate subscription.